The ongoing trade spat between China and the United States seems to have captured the attention of media pundits across the globe. However, there is also a slow burning fuse of discontent by Chinese authorities regarding unfettered access by citizens to information available on the Internet, as well as the activities of search engine, app providers and social media companies. The result is increased Internet surveillance. The media have touched on the unprecedented levels of Chinese mass surveillance – it’s accepted as part of the cost of doing business in China. However, it’s easy for concerns regarding data security and privacy to fade into the background when profit is then driver of success. That is until the impact becomes so severe that the immediate inclination is to run for the safety of the regulatory authorities. The problem is who do you run to when president Xi Jinping and the Communist Party in China decide on the rules that will allow them to police the use of apps and access to information by their citizens, as well as the operations of the Internet service providers that do business in their country? On 30 November a new set of rules saw Internet authorities in China clenching an iron fist when it came to some of the country’s largest app providers like Alibaba, Baidu, ByteDance and Tencent (it was not immediately clear if the ruling would apply to international companies). These companies will be required to keep a log with information such as activities of users posting in blogs, microblogs, chat rooms, short video platforms and webcasts. The companies will also be obliged to identify the real registered name of users, as well as well as stand ready to supply a 60-day recorded activity log to authorities should they demand it. The nature of the meddling by Chinese authorities becomes even more worrying when one considers that it not clear under what circumstances the companies might be required to hand over logs to authorities. 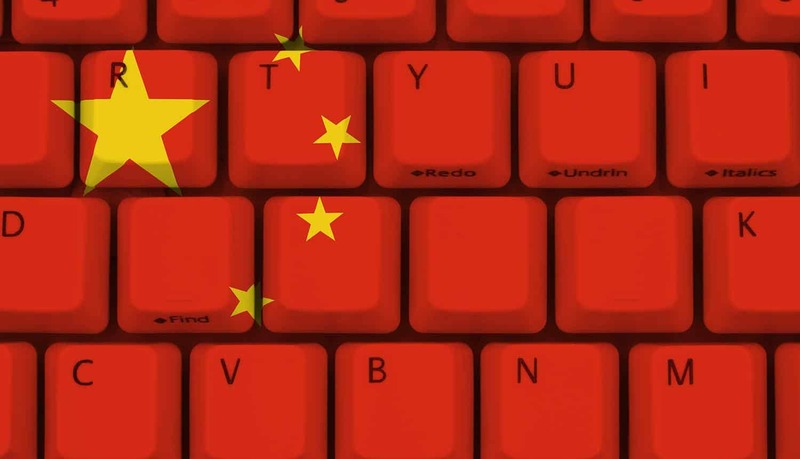 The vague nature of the sanction, which was posted on the Cyber Administration of China’s website earlier in November is exactly what it sounds like – Draconian in the extreme. The leeway it gives to Chinese authorities to take either legal action or extra judicial action is breath taking – and more than a little terrifying. The implications are frightening. The log that the authorities demand will contain information on the activities of users posting blogs, making their thoughts known in chatrooms, posting video content and webcasting. In short – if you are online the Chinese government wants to know about it – and about you. Privacy and the right to free speech online – always under threat in China has now been effectively made punishable offenses – and companies like Alibaba and TenCent have now, without their consent, become the bully boys of Chinese censorship. The Chinese authorities have cited the need to safeguard national security and protect civil order as the reasons behind this latest edict. Chinese officials will be carrying out onsite visits to ensure compliance. Just what they will be ‘inspecting’ is unclear. However, if they are to ‘inspect’ one assumes that will involve a close examination of the data that those companies are holding and logs of their interaction with customers and other parties. In essence this means that data privacy is to all intents and purposes dead in China. These inspections also carry the very real risk of allowing Chinese authorities a transparent backdoor into other databases where information is stored across the globe. It must be said that the Chinese government does have a semi valid argument in certain respects. The Cyber Administration sought to temper its actions by saying that it was in the public good in order to rein in excessive access of users’ personal data by app ­providers. Given the consumer experience in the west – that may not be a bad thing – but the downside is massive. On 8 December Reuters reported that China had closed 1,100 social media accounts, along with 31 websites that it accused of ‘unlawful activities’ such as trolling or blackmail. It also announced that it would be paying even more attention to Weibo and TenCent’s ‘WeChat’. This is not a government that displays subtlety or a sense of proportion when it comes to Internet activity. China uses an iron fist in a very thin velvet glove when it comes to the domestic Internet. There is a censorship system that reaches into all aspects of online use and service provision. The government summarily deletes any mention of topics that Beijing deems sensitive, including criticism of President Xi Jinping, the Tiananmen Square massacre, or any news that could spark mass protests. As most of us merrily go about using the social media to share opinion or have spirited arguments (no matter how wrongheaded they may be at times) it should come as a sobering thought that popular social media and search engines — including companies from the United States such as Facebook, Google and Twitter— are banned in China. People who use the Internet in western countries should take a moment to think about the statement that the Chinese authorities will drop the hammer on both companies and individuals who are guilty of expressing or allowing the expression of ‘improper public opinion’.